Coffee and sweet treats… the quest to find even more sublime combinations is a very worthwhile mission. 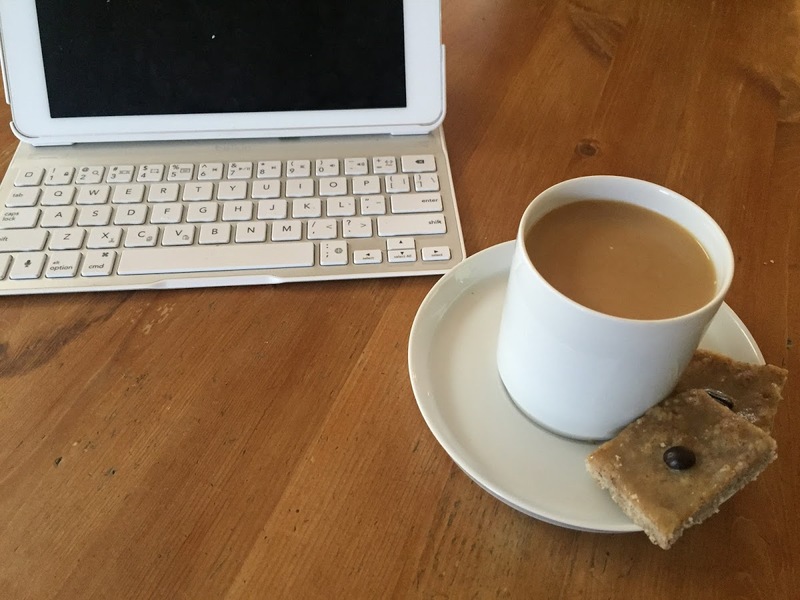 This homely shortbread bar isn’t a flashy discovery but it is a wonderful one nonetheless, with ground espresso beans flavoring the shortbread, and a buttery brown sugar coffee glaze on top to add some gooey richness. Minor changes, to a recipe by Flo Braker. Ground espresso beans flavor this shortbread, and a buttery brown sugar coffee glaze on top adds gooey richness. Preheat oven to 300. Grease and flour 9 x 13" baking pan. Using electric mixer, beat butter and sugars until fluffy, about five minutes. Beat in the vanilla and salt. In a small bowl, combine the ground espresso beans and the flour. Add to the butter mixture gradually and beat until just combined. Press dough into the pan and bake for about 40 minutes. It should be lightly browned, and firm but not hard to the touch. Cool slightly on a pan. In small saucepan, melt the butter over low heat. Add the remaining ingredients and stir well. Bring to boil, stirring constantly and cook for a few minutes until it thickens slightly. Pour the glaze over the cookies. Allow to cool and then cut into desired shape. Garnish with espresso bean if desired. This entry was posted in cookies and tagged cookie, espresso, shortbread. Bookmark the permalink.